Congratulations, you have successfully recertified as a Cisco Certified Internetwork Expert! Periodic recertification ensures that the CCIE designation remains a valid measure of expertise in the networking industry. 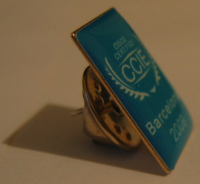 Your next CCIE recertification deadline will be January 18 2012. Current recertification policies require you to pass one written CCIE exam within the 24 months preceding your deadline. However, you may not schedule the same exam you just passed for at least six months. You may take the written exam for a track different from the one you are certified in to meet the recertification requirement. Written exams are scheduled through Cisco's authorized testing partner, Pearson Vue. As you can probably see, it's much preferred to do your recertification (at least the first ones) as early as possible, since you'll probably remember most of the stuff. I had the option of doing it till January 18 2010, but i decided to give it a try now, because it was free (due to networkers) and i wanted to avoid the coming written exam changes. It doesn't really matter when you do it, because the 2 year period counts from the day of your initial certification. So in my case, i have 1 year due to initial certification plus 2 years due to the recertification, till it expires. If i do my next certification after 1 year, i'll have 2 years due to the current recertification plus another 2 years due to the new recertification, till it expires. After that i'll have to do it every 2 years. The recertifications after 2010 need to be done after the corresponding initial certification date (Jan 18), in order to have less than 24 months till the next expiration. All the recertifications need to be done before the corresponding initial certification date, in order to have less than 24 months till the next expiration. As you can see, by doing a per-year recertification in the beginning, you'll have a 2 years advantage until the expiration of your certification. Of course, you can choose the per-2-years model, change to the per-1-year model sometime in the future and then move back to the per-2-years model again. But i believe it's easier to do it in the beginning. You just might want to keep all that in mind. 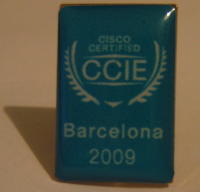 Our records show your CCIE recertification deadline, January 18 2010, is approaching. We want to encourage you to prepare for and schedule one of the available CCIE written exams to satisfy the recertification requirement. CCIEs are required to pass one written exam within the 24 months preceding their current recertification deadline. You may either retake the written exam for your track, or attempt a different written exam. A passing score on any written exam will satisfy the requirement for recertification. If you haven't yet, this can be a good opportunity to attempt a second CCIE certification. So what happened/changed during the last year (as a CCIE) in my life? But i still haven't been married!!! Did the CCIE make me a better human? Probably No! Did the -path to the- CCIE make me a better engineer? Definitely Yes! While i was experimenting with some new features of EEM (which looks like it's turning into a programming language! ), i found out that the action cli command uses one of the vtys that are available for normal access to the router, but with a null (or should i say empty?) username. action 1.3 cli command "show users"
action 1.4 syslog msg "$_cli_result"
action 1.5 cli command "show aaa user all | i TTY|EXEC: Username=|Authen|^--------------------------------------------------$"
action 1.6 syslog msg "$_cli_result"
Jan 18 03:17:44.281: tty4 AAA/AUTHOR/CMD (151559760): found list "default"
Jan 18 03:17:44.717: unknown AAA/DISC: 1/"User Request"
Jan 18 03:17:44.717: unknown AAA/DISC/EXT: 1020/"User Request"
Jan 18 03:17:44.717: TTY4: Line reset by "Virtual Exec"
Jan 18 03:56:25.817: tty3 AAA/AUTHOR/CMD (2383786117): found list "default"
As you can see above, there is no exec, as the user is already logged in. Jan 18 03:41:44.067: %HA_EM-6-LOG: LOG-CLI-APPLET : DEBUG(cli_lib) : : CTL : cli_open called. Jan 18 03:41:44.599: %HA_EM-6-LOG: LOG-CLI-APPLET : DEBUG(cli_lib) : : CTL : cli_close called. This is normal if you think that in order to execute a cli command you need exec access, but it also means that you might have problems running such EEM applets, when all your vtys are full, exec under a vty is disabled or a special command authorization method is used ("transport input" and "access-class" do not seem to affect it; i guess it's because it is originating from inside). While experimenting i got 2 vtys stuck and all combinations of "clear line/tcp" didn't help (so a reload was needed). You might want to keep an eye on it. Btw, i fell into an interesting tool (IDEEM) regarding EEM programming. Too bad there wasn't a trial/evaluation version available online. Update: Thx to Ivan's comment, i added the following command and now the pre-configured username appears on the vty list. event manager session cli username "eem-user"
Q: Do the short answer questions affect my overall CCIE lab exam score? A: Yes. All sections on the exam and their results are taken into account when determining the overall exam score. Q: If I don't complete the short answer questions, can I opt out of the exam and receive a refund? A: No, the short answer questions are now an official part of the lab exam. No refunds are given if candidates decide they are not ready to take the exam within 90 days of the exam date. Q: Will the short answer questions also appear on CCIE mobile labs? A: Yes, the mobile labs are the same as the traditional lab exams. The short answer questions will be part of all CCIE Routing & Switching lab exams after. Q: Can I skip the short answer questions and go back and answer them later? A: No, the short answer questions must be completed before the candidate moves on to the configuration scenarios. Q: What if I don't agree with the grading on the short answer questions? Can I appeal the results of the short answer section? A: Because short answer questions are open-ended, responses are manually graded and the grading guidelines will allow for some variation in response. If a candidate requests and pays for a Lab Exam reread, a second proctor will review the entire exam responses and issue a second opinion. There will be no option to purchase a reread of only the short answer results. Q: Can I skip the short answer questions and still pass the Lab Exam? A: No, candidates must achieve a passing score on the short answer questions, as well as the configurations, in order to pass the Lab Exam and achieve certification. Q: Will there be additional time provided for the new short answer questions? A: The length of the exam will remain eight hours. The short answer questions are intended to be answered easily and quickly by well-prepared candidates. Q: Will the short answer questions be added to the CCIE blueprints? How can I prepare (study) for the questions? A: The short answer questions cover material already listed on the CCIE lab exam blueprint. The questions are intended to be answered easily and quickly by well-prepared candidates. Q: Will short answer questions be added to other CCIE Lab Exams, beside R&S? If so, when? A: Cisco intends to add short answer questions to all CCIE lab exam tracks. We will announce the addition of the short answer questions to each track well in advance of the questions appearing. Q: Why are you adding short answer questions to the CCIE R&S Lab Exam? A: Including several randomly-selected short answer questions on the lab will allow Cisco to increase the validity of CCIE and ensure only qualified candidates achieve certification. Q: How many short answer questions will be asked, and how long should candidates expect to spend on them? A: Four or five short answer questions will be asked and candidates can expect to spend about 10-12 total minutes on them. Regarding the written exam changes, i think to be able to skip questions on the written CCIE and answer them later was a nice advantage. Too bad it's being removed. The short-answer open-ended questions in the CCIE lab is a welcome addition, as long as the proctor will be able to ask them in an understandable way.